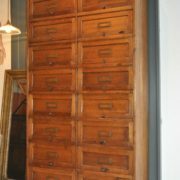 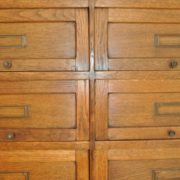 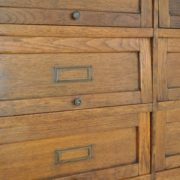 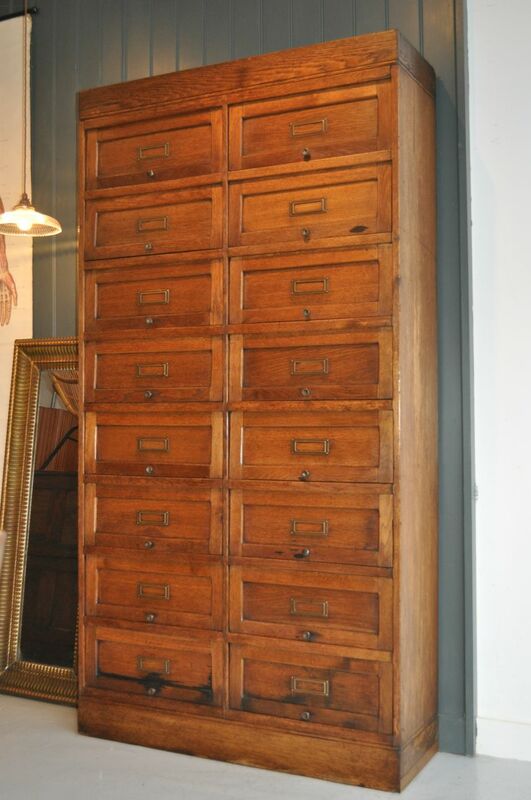 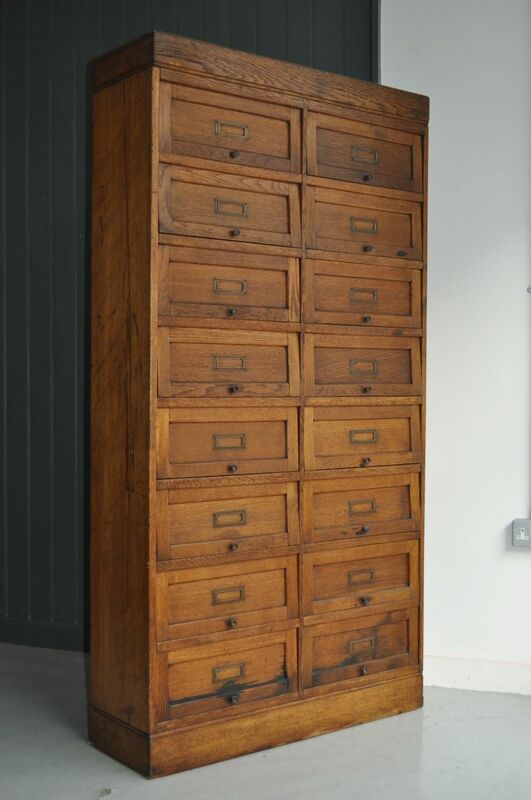 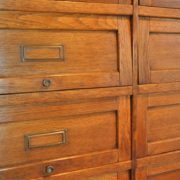 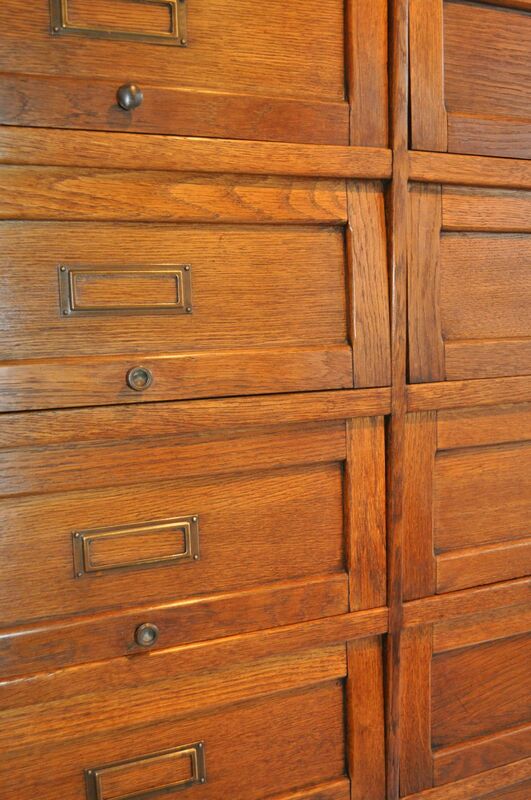 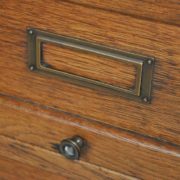 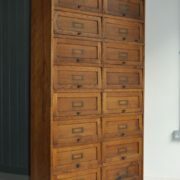 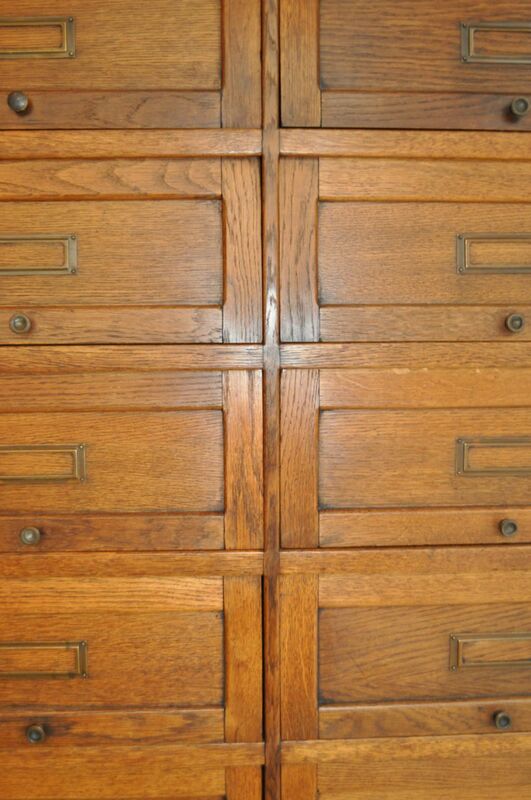 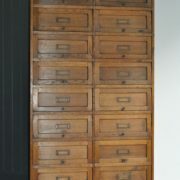 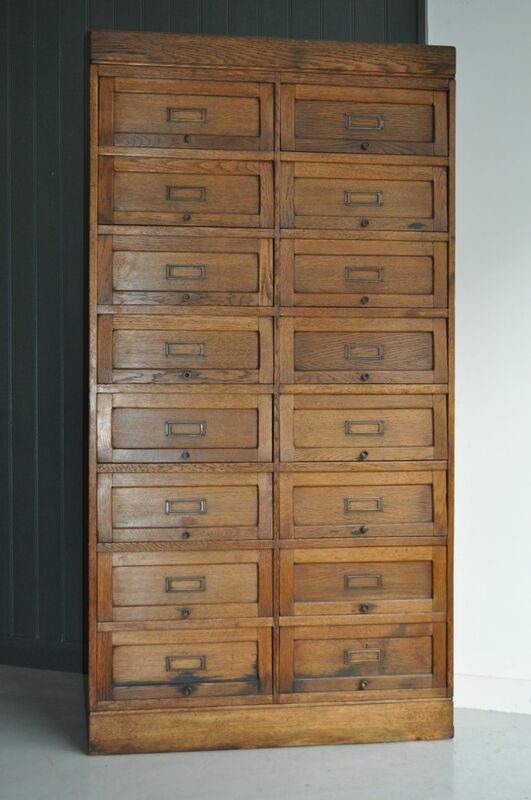 Handsome French oak notaries' cabinet, with 16 lift-up and slide-back panelled doors. 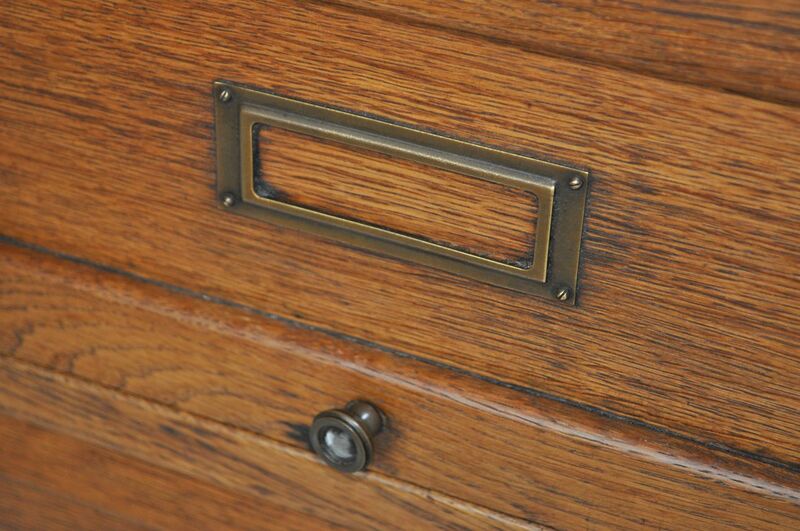 Original handles and card-plates, and all doors open smoothly. 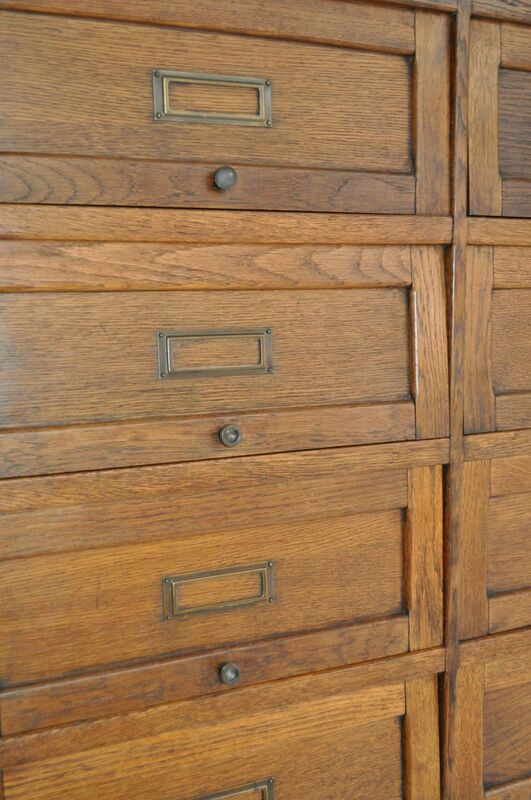 Some marks in keeping with age, but no breaks or repairs, a good colour, and a nice beeswax finish. 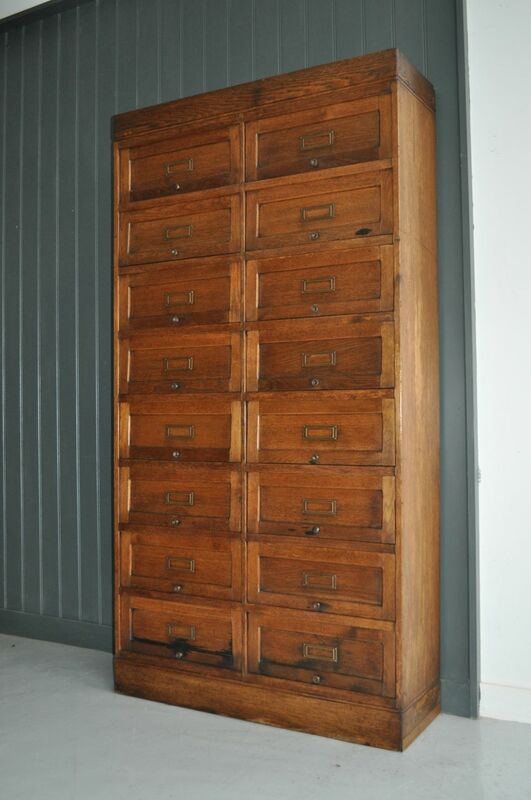 Originally for storing papers or files, but would work equally well for shoes or crockery!